Dr. Eric A. Wood currently serves as the Deputy AD for Competitive Excellence and is responsible for all internal operations for the UCF Knights Department of Athletics. 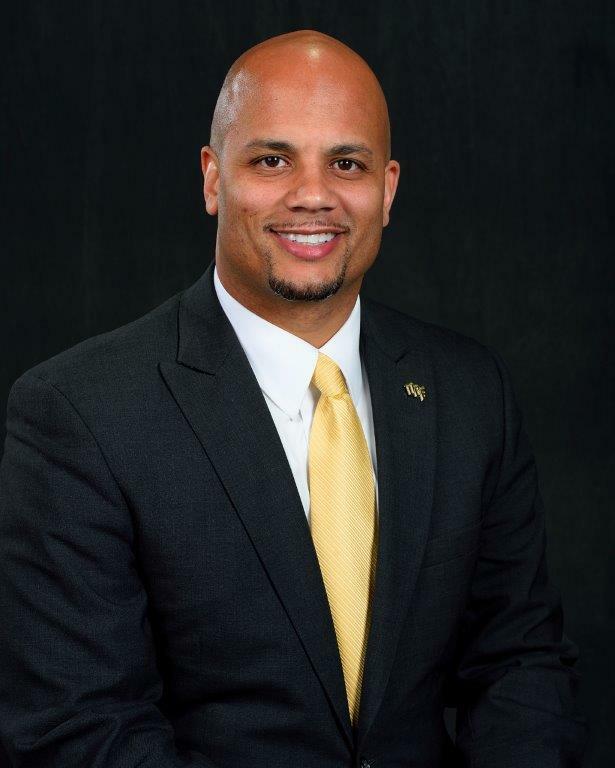 He came to UCF after a 7-year stint with the University of Arkansas Razorbacks, where he was a member of the Razorback Executive Staff and was named Top 40 under 40 in the Arkansas Business Journal in 2016. Dr. Wood is a 1998 graduate of Sacred Heart University in Fairfield, CT earning his degree in Psychology. He was a three-year starter at cornerback for the Pioneer football team earning the Medal of Merit, the athletic departments highest honor, as the student-athlete of the year his senior year. Wood completed his Masters degree in Counseling from Clemson University and his Doctorate of Education in Sports Management from The University of Arkansas. Dr. Wood and his wife Celia have four children-Eliana (7), Nia (5), Alyssa (3) and Elijah (1).